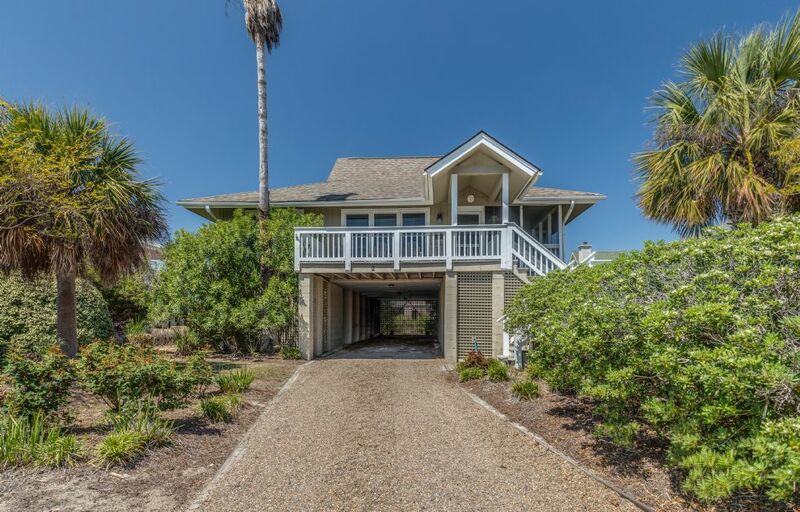 Relax and unwind in this cozy Isle of Palms vacation rental cottage located in the Beachside Community on Isle of Palms. ‘Too Sandy’ sits on a quiet cul-de-sac just a short walk from the beach access.The inviting veranda provides the best of both worlds: an open sundeck and a screened-in porch with dining for 6! Continue through the glass doors into the spacious and open living room and dining room with vaulted ceilings and a large flat screen TV. The kitchen is fully-equipped with additional seating in the breakfast nook and at the kitchen island!